Unable to perform the operation. The license server rejects it. You are signed in to your Parallels account. 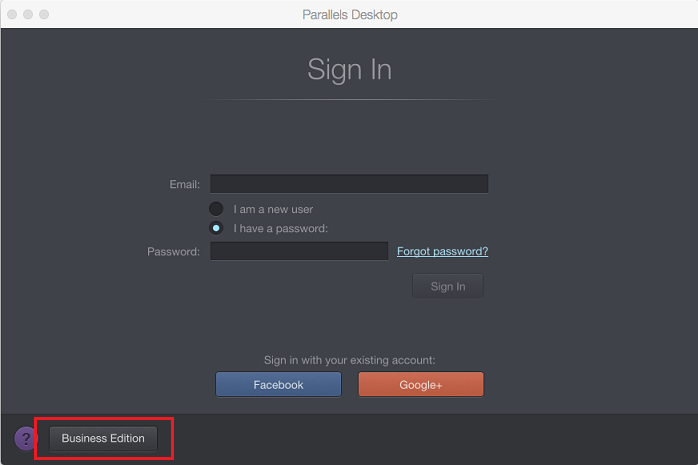 You should register your Business Edition license online at account.parallels.com and then skip the registration step in Parallels Desktop. Return to the registration window, sign out of the account by clicking on the email address and selecting the Sign Out option. Click on the Business Edition button at the bottom left corner of the window. Once you enter the key, it will be validated. If the key is valid, it will be marked with a check mark. 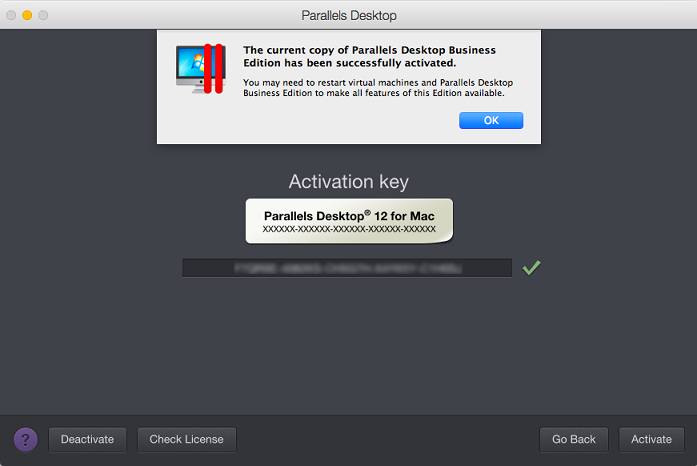 Note: Internet connection is required for activation of Parallels Desktop Business Edition. If the key has been successfully validated, click Activate. 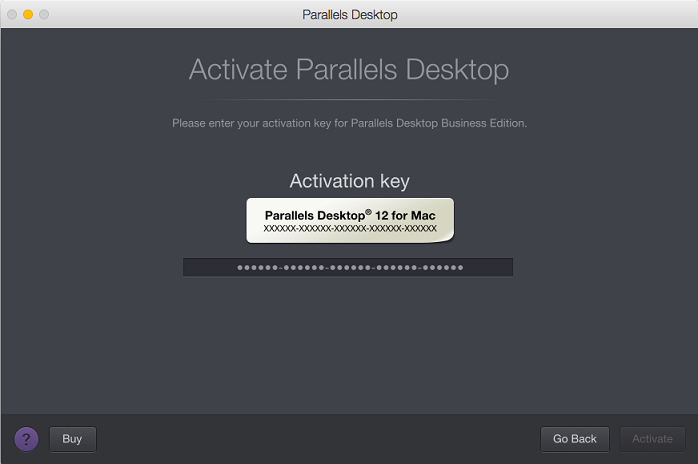 If your Mac is connected to the Internet, Parallels Desktop Business Edition will be successfully activated.